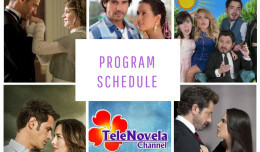 Passion: Episode 52 | TeleNovela Channel - Bringing you closer to lifes drama. Santiago is considering to accept Don Jorge as his father and sees it as an opportunity to help the people from the village. Meantime, Camila tells Ricardo that he should leave the village while Ricardo reminds her that a man doesn’t change only because he is using a different name. Alberto retrieves the letter from Bernabe and kills him.